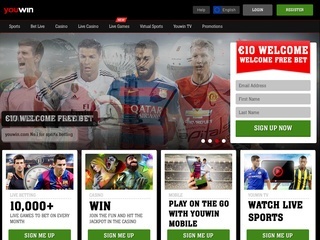 Youwin is an online sports bookmaker, operating and registered in Malta. The business was founded ten years ago in 2005. The bookie is rather new on the market, far from the several decades of the big names. The age, however, did not stop Youwin. The bookmaker quickly gained the respect and trust of their players, specifically because of the high-quality service the website provides. Youwin’s hidden ace is the face of Boris Becker, the former tennis champion. He is representing the bookie, and this solidifies their credibility even more. An open secret is that Youwin employs some of the best gambling experts. The analysis is of extreme importance to a bookmaker. The owner of the website is Winunited Ltd. The company surely knows how to market a bookmaking site, because currently Youwin is in the top 180000 most popular websites worldwide and is steadily rising. The website interface is amazingly clean and comfortable to use. Every element is easy to see and to access your favorite sport can be achieved effortlessly. 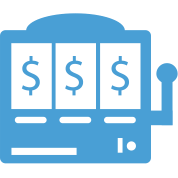 Youwin also offers a responsive mobile experience, so you can be able to bet while on the move, or simply away from your computer. As we all know, mobile usage is skyrocketing over the last few years, and the bookie adapted quite well. The betting options on Youwin are plentiful and well thought-out. The abundance of sports guarantees fun times and great bets at any time. There are 24 markets to choose from, including football, greyhound racing, and politics. Also, Youwin is one of the few bookies who offer to bet on poker games. Live betting is a core section of the website, and you can bet on almost any sport in real time. Lots of people love the fluctuating odds. Players can also enjoy betting on virtual sports like football, tennis, horse racing and dogs racing. The games take about a minute and a half to finish and a new one begins every three minutes. I was quite surprised to see Youwin added a live streaming page, too! It’s new, and it’s great. You can watch most games live, while you are still on the website and manage your bets. Not many sites offer live streaming, but Youwin is one of the few who does. Youwin provides a comprehensive and easy to use Casino Games section. For those of you, who are not in it for the sports betting, don’t worry. There are a lot of games in the casino – slots, video poker, table games, sports games, roulette, and blackjack are the types of games you will encounter. Some of the most popular games are Dracula, Neon Staxx, and Big Bang. Aside from the electronic games, you can visit the live casino and enjoy the classic games with live croupiers in real time. Some of the games are Roulette, Blackjack, Baccarat and Casino Hold’em. The experience is great, and the croupiers are always good looking and very professional. 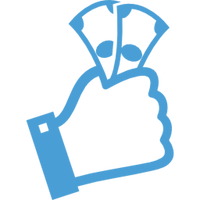 Youwin is a sports betting bookmaker who offers very competitive odds and strives to keep players happy. And, as we all know, a winning player is a successful bettor. This is why the bookie offers more than 90 ways to bet on games, sometimes even more. Full-time goals, handicaps, and correct score are just a few of the options. The correct score bets can potentially yield the highest payouts if the underdog team scores several goals. It’s a rare occurrence, but you can multiply your bet by up to 201 to one in one swoop. Youwin’s security is handled by an SSL encryption, provided by Thawte. 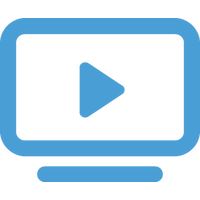 The provider is a professional company with years of experience and success in online safety. Your data and transactions are safe, and you shouldn’t worry about anything. Youwin’s customer service is very fast and responsive, with great professionals working to bring you the answers you need. You can contact the associates by email and live chat only. The working hours of customer service are nine a.m. to 4.30 p.m. CET every day of the week. Youwin accepts different currencies which all can be seen listed in the table. I can see their market growing and expanding towards even more types of money. The deposit options are few but cover most bases – credit and debit cards and few others. All of the information needed on that topic can be seen in the table. Withdrawing funds from your account can be achieved in the same way as depositing, but excluding Mastercard. The minimum bet is set to 0.5 EUR, so plan your deposits ahead of time. Youwin offers a few bonuses for their players. The welcome bonus is a 10 EUR free bet. New accounts are eligible for this offer. Currently, Canada users receive a 100 CAD welcome offer, so if you are from this country, start betting! The bonus is quite good. The bookie also offers a nice Blackjack happy hour for 10% cash back. This means that even if you lose, you will get ten percent of your bets back. And of course, the cash out function is present on Youwin’s website. This feature lets players receive their winnings before the game is over. There might be repercussions, yes, but getting half of your bet back is better than losing it all.